This drought-tolerant, naturalized annual will quickly produce 2-4″ blooms of white, orange and yellow. It is a moderately low-growing wildflower that blooms late summer to fall and is able to tolerate poor soils. Commonly found in the western states, the seed is a good addition to mixes designed for drought-tolerance and low maintenance. Roadsides, rock gardens, open fields and flower gardens are ideal locations for this beauty. 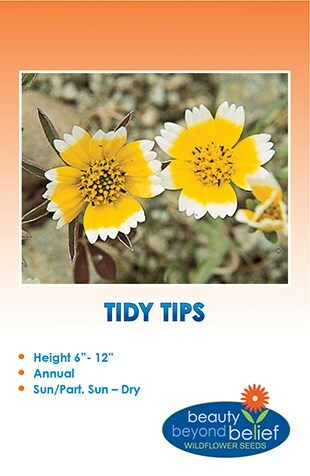 This drought-tolerant, naturalized annual will quickly produce 2-4″ blooms of white, orange and yellow. 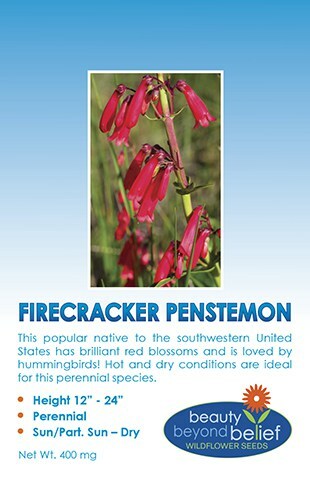 It is a moderately low-growing wildflower that blooms late summer to fall and is able to tolerate poor soils. Commonly found in the western states, the seed is a good addition to mixes designed for drought-tolerance and low maintenance. Roadsides, rock gardens, open fields and flower gardens are ideal locations for this beauty. African Daisy will reseed and form masses of color.